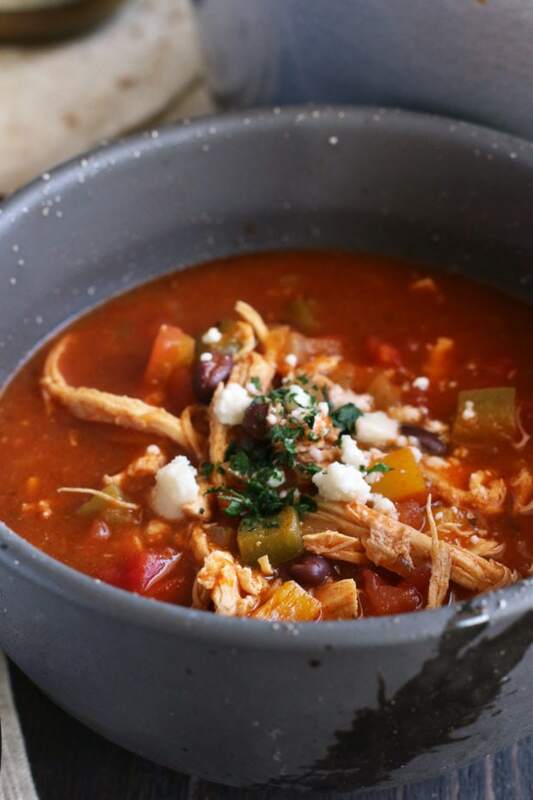 Red and Green Enchilada Soup is a comforting, ridiculously simple meal that’s on the table in only 35 minutes! 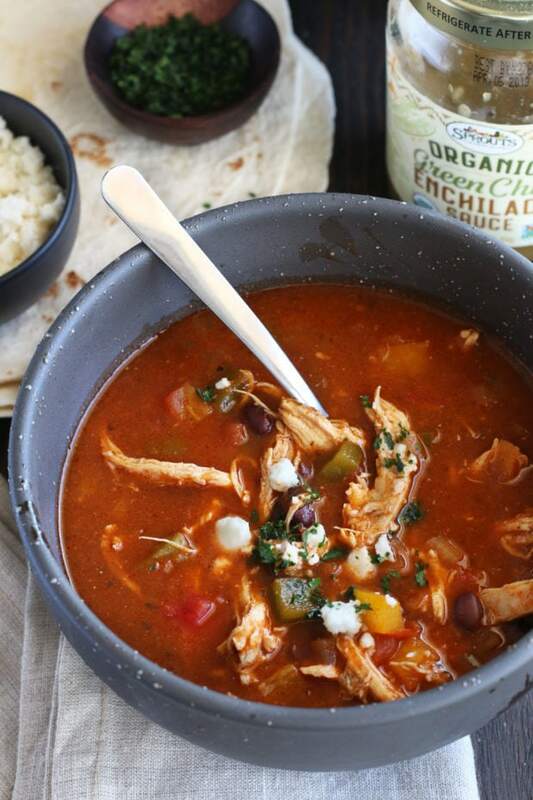 Featuring hearty vegetables, chicken and richly flavorful enchiladas sauces (both red and green! 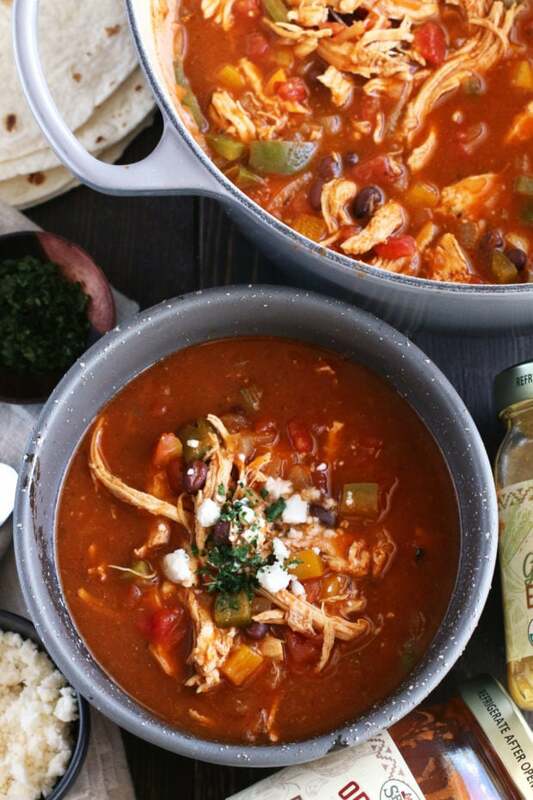 ), this soup packs a punch of spicy flavor to warm up with any night of the week. 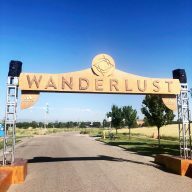 I haven’t been to New Mexico in a while, but there was a time where I was going every couple of years with family and friends to Santa Fe. It was on my more recent trip down to New Mexico that I discovered the magic of their love for red and green chiles. Christmas enchiladas are, to put it simply, red and green chile enchiladas – so enchiladas with both red and green sauces on them. It’s my favorite way to eat enchiladas now because of the varieties of flavors, and now, I have taken all that deliciousness and put it in a soup! 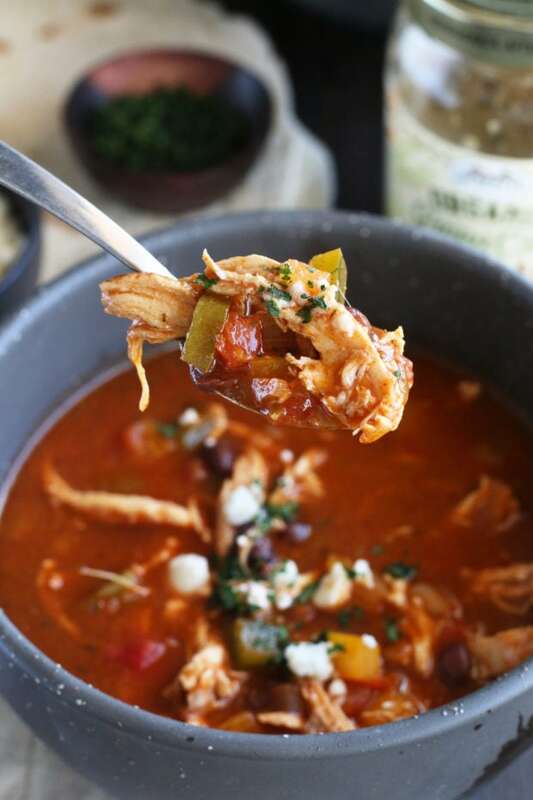 If you think you have a favorite enchilada soup recipe, think again, because this soup is going to blow your taste buds away with intense flavor. 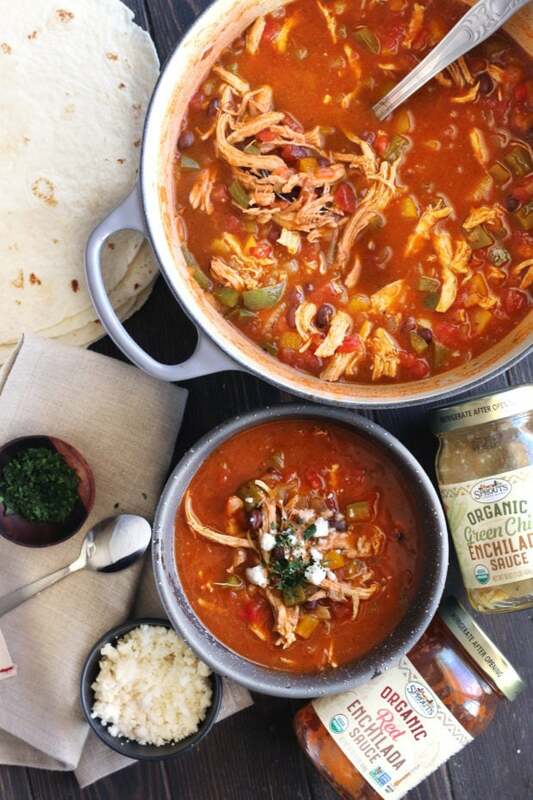 All that flavor comes from one place… The red AND green enchilada sauces from Sprouts! Honestly these sauces have become a staple in our pantry because you can use them for so many recipes beyond just enchiladas. 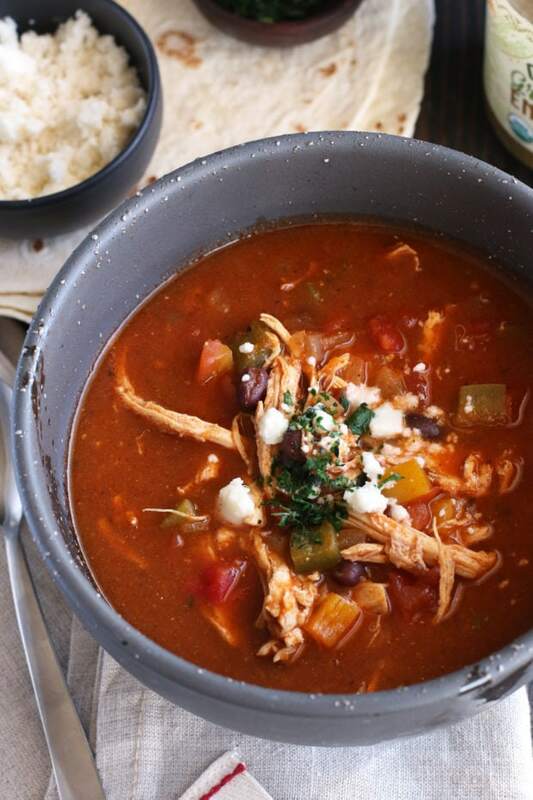 For example, this enchilada soup, but you could even mix some into macaroni and cheese, pulled pork, pulled chicken, taco filling and so much more. 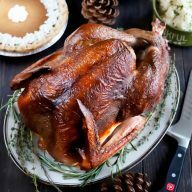 Usually, even when I am using store-bought sauces, I’m always adding some sort of salt, pepper, garlic powder, or other staple seasoning to maximize the flavor. However with these enchilada sauces from Sprouts, you don’t need to do any of that. 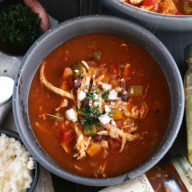 The mixture of the bold chile flavor and heat come through in this soup so fantastically, you don’t need anything else to improve the flavor! This makes it an incredibly easy soup to make any night of the week. It comes together in 35 minutes and most of that time is spent just letting flavors build and cook on the stove. So run to your closest Sprouts and STOCK UP on these sauces already! You’re gonna want to cuddle up with a bowl of this goodness as soon as possible. 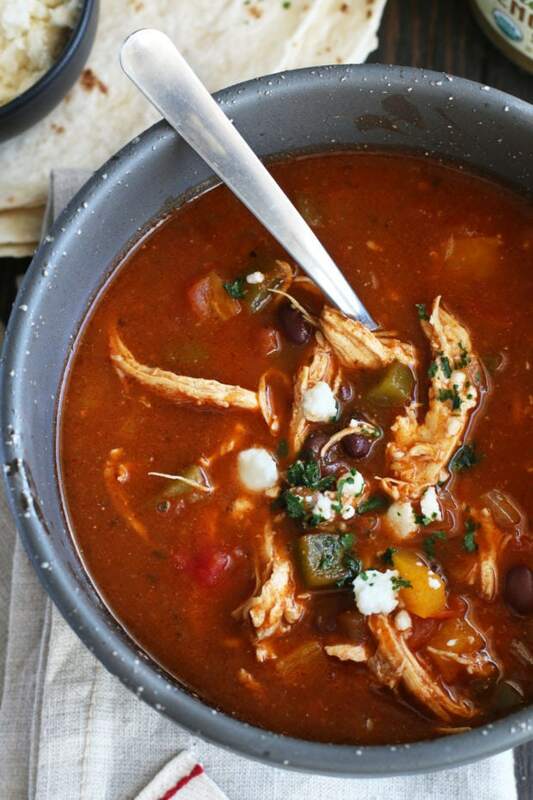 Pin this Red and Green Enchilada Soup recipe for later! A play on Christmas Enchiladas, the mixture of red and green enchilada sauces in this soup is flavorful, spicy, and hearty. 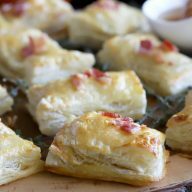 It’s the perfect easy meal to throw together any weeknight! Heat olive oil in a Dutch oven or soup pot, over medium heat. Add the onion and bell peppers and cook until the onion is soft and translucent, approximately 5 minutes. Add the red and green enchilada sauces; cook for 5 minutes. Add the diced tomatoes, jalapeño, and black beans. Stir to combine. Add the chicken breast and chicken broth. Stir and cook for about 10 to 15 minutes, stirring occasionally. Remove from heat and top with freshly chopped cilantro and queso fresco.